Background : 401(k) & 403(b) Fiduciary Advisors, Inc.
Are You Meeting Your Fiduciary Obligations? 401(k) & 403(b) Fiduciary Advisors, Inc.
401(k) & 403(b) Fiduciary Advisors specializes exclusively in the corporate and non-profit retirement plan marketplace. We provide consulting and fiduciary advisory services to plan sponsors for both defined contribution and defined benefit plans. The mission of 401(k) & 403(b) Fiduciary Advisors is to build lasting relationships with plan sponsors and plan participants while setting the highest standards of excellence. As a qualified retirement plan consulting company, we counsel plan sponsors and trustees to recognize their fiduciary responsibilities and help to protect them from the enormous personal and corporate financial liability related to their 401(k) or 403(b) plan. Our goal is to enhance potential investment opportunities and help plan participants to achieve financial security. From needs analysis to provider searches; from fee benchmarking to investment selection; from enrollment meetings to ongoing employee education and communication services; we equip plan sponsors with the services needed to deliver and monitor a highly successful 401(k) or 403(b) plan. 401(k) & 403(b) Fiduciary Advisors will work with you to ensure that your plan maintains compliance with ERISA, the Department of Labor (DOL), the IRS and other government regulatory agencies. As your company continues to grow, we will strive to uncover and benchmark new plans and investment opportunities for you and your employees. Securities offered through Kestra Investment Services, LLC (Kestra IS), member FINRA/SIPC. Investment advisory services offered through Kestra Advisory Services, LLC (Kestra AS), an affiliate of Kestra IS. 401(k) & 403(b) Fiduciary Advisors, Inc. is not affiliated with Kestra IS, Kestra AS, Retirement Plan Advisory Group (“RPAG”), or any other entity listed on this website or social media platforms. This website is published for residents of the United States only. Registered Representatives of Kestra Investment Services, LLC (Kestra IS) and Investment Advisor Representatives of Kestra Advisory Services, LLC (Kestra AS) may only conduct business with residents of the states and jurisdictions in which they are properly registered. Therefore, a response to a request for information may be delayed. Not all of the products and services referenced on this site are available in every state and through every representative or advisor listed. 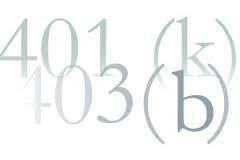 401(k) & 403(b) Fiduciary Advisors, Inc., Kestra IS, Kestra AS, and any affiliated companies, employees or representatives do not provide tax or legal advice. For additional information, please contact our compliance department at 844-5-KESTRA (844-553-7872). If you have further questions or comments, please contact 401(k) & 403(b) Fiduciary Advisors, Inc. at (650) 931-2650. © Copyright 2019 401(k) & 403(b) Fiduciary Advisors, Inc.
No part of this website or any of its content or images may be reproduced, copied, modified or adapted, without the prior express written consent of 401(k) & 403(b) Fiduciary Advisors, Inc.